Registration is $50, which goes 100% into the conference expenses (mainly the venue). Free admission is available for speakers, students, and the currently unemployed. We REALLY WANT you to come to this workshop, so just let us know if you need any special accommodations — registration fee or otherwise! The DC and Baltimore Perl Mongers are committed to creating a welcoming and harassment-free environment, and all attendees and speakers must agree and adhere to our standards of conduct. Please click on the button below to read our policy. This year DCBPW returns to the Silver Spring Civic Building (SSCB), which is three blocks from the DC Metro transit system. Garage parking is also available and the venue is located near food and other attractions. SSCB is in a redeveloped old downtown area, still known as Downtown Silver Spring (with hip internet hashtag #DTSS). The central street adjacent to SSCB becomes pedestrian-only on weekends. This is our recommended hotel, located in Silver Spring, MD. It has wifi and breakfast options. The DoubleTree is located just a few blocks from the venue and offers free wifi and dining options as well. The DC-Baltimore Perl Workshop is made possible by support from local business contributions and The Perl Foundation (TPF). Please take this opportunity to become a sponsor of the DCBPW-2019 event! If you aren't comfortable asking your company to make a donation but think we could be a good team, we'll do the asking! Send your sponsorship interest and potential sponsor contact information to dcbpw-organizers@googlegroups.com. Sponsorship is made in the form of a tax-deductible donation to The Perl Foundation, a 501(c)(3) non-profit organization. 2019-03-28 Thanks for answering the CFP - the schedule is live! Thanks to all the people who submitted talks for DCBPW this year! We have published our 'working' schedule. Some talks may slide to another position as we work to put all the pieces together. Check out the line up and don't forget to register to attend the 2019 DC-Baltimore Perl Workshop! A very big thank you to the sponsors of the 2019 DC-Baltimore Perl Workshop! It's generous sponsors like these that make low-cost technical workshops like DCBPW possible! Infinity Interactive solves business problems with technology. What can their team of industry veterans solve for you? Find out more: www.iinteractive.com. Located in Baltimore, Maryland, SmartLogic builds, tests, deploys, and maintains custom software applications. Find out what they can do for you: www.smartlogic.io. 2018-09-27 Give a talk at DCBPW-2019! 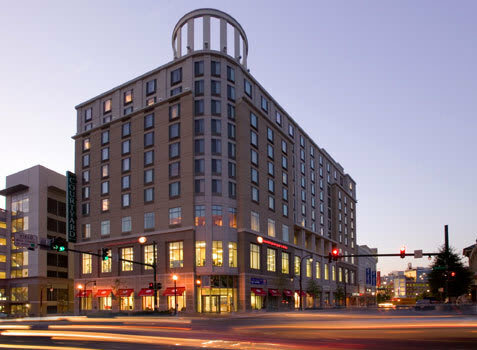 You are cordially invited to submit talks for the 2019 DC-Baltimore Perl Workshop, which will be held on Saturday, pril 6, 2019, in Silver Spring, MD! Submit via the Google Form! As in previous years, we love and suggest 25 minute talks, which we've found is a sweet spot for most topics. We get a great variety — enough to get a dose of newness and not overwhelm. We also welcome proposals for more tutorial-style talks of around 50 minutes. We'll take the talks and build out a two-track schedule. Speakers of all levels are welcome! This regional meetup is great for getting your first taste of giving a community talk, sharing projects or topics that you have experience with, or even doing a first run for a talk you'll be presenting at a larger conference! All Perl-related topics are welcome — from beginner to advanced, from technical to social. And of course if you're not up for giving a talk this year, are invited to register for the conference as an attendee! If you have any questions, email us (dcbpw-organizers@googlegroups.com)! We'll even be happy to help you tune your topic. You're already here so you know it's official. After taking a year off DCBPW returns to Silver Spring, MD! We hope you'll register to attend or at least tell a friend! We are also seeking sponsors - so if you work for a company or know of one that could benefit from a little conference advertising and uses Perl and related technologies, let's connect! Email dcbpw-organizers@googlegroups.com for more information about sponsorship opportunities.